Apple’s position in the Smartphone wars against Samsung seems to be growing more tenuous every day. On Wednesday, Samsung submitted a filing in the Federal District Court in San Jose showing that the U.S. Patent Office has found another key Apple patent invalid in a preliminary reexamination. While the new one, No. 7,844,915, that covers software distinguishing between single-touch and multitouch gestures has been found invalid now by the USPTO,it is subject to appeal by Apple and the invalidation is yet not final. The other patent out of the six in the Apple Samsung war that has already been found invalid by the USPTO is one concerning the “bounce” feature – one that makes the on-screen page bounce when a user pulls his/her finger from the top to the bottom of the touchscreen. 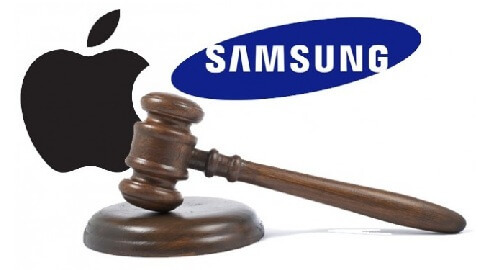 However, both the patents are included among the six patents upon whose alleged infringement a jury in August held Samsung liable to pay Apple $1.05 billion in damages. A verdict that now stands challenged and Samsung has made a petition for a new trial. 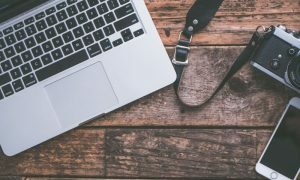 In both cases, as in the case of the vaunted “Steve Jobs” patent, the USPTO has ruled that the patents should not have been granted in the first place – making them subject to being void ab initio. The whole affair brings to mind the old adage – people who live in glass houses shouldn’t throw stones at others. These patents, which never should have been allowed in the first place, as they intend to monopolize a right to solutions rather than providing specific solutions, and also restrict how human users can apply their gestures to specific solutions – read flick/scroll et cetera, had been denied reexamination multiple times by the USPTO. However, when Apple brought Samsung into the game, things began to change. 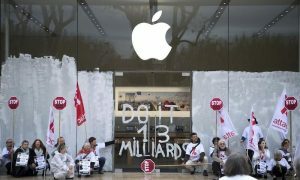 If the patents are held void ab initio, then it can be a major headache for Apple as many other companies which had, and have been paying millions of dollars in royalty on the same patents to Apple can have claims to have their money back. Other causes of action may also follow. The patent invalidated currently in a preliminary finding upon reexamination by the USPTO is commonly known as the “pinch to zoom” patent, but it has a very wide scope and Apple’s legal documents refer to it as applying to a “scroll versus gesture” feature.